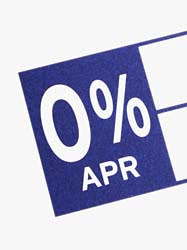 I hate APR as just when you think everything is all good you realise that there is a big sting in the tail. Got given the sums today on what I will be expected to pay back and as much as it's dressed up I am paying a lot so going to go back into the water and fish about. Lets forget fishing anyway as I am drowning here haha. What makes me laugh is that they make it out like they are doing me a favour with the high APR. Right and who's money is it being spent?? Anyway we are going to drop our valuation cost of what we want to reflect the massive APR costs as we are bent over a barrel as we do need a motor. I am sure tonight that the baby took her first proper steps but it was really sudden when I got home and through her excitement she did it and couldn't do it again. Get ready for the boot camp kiddo as the intensity is going to step up a notch now haha. Just messing she is getting closer to lift off all the time and I am hoping that when she does get her balance that I am there to see it! !